The Financial Conduct Authority has issued a letter to major pension providers regarding the acceptance of Defined Benefit Transfers. 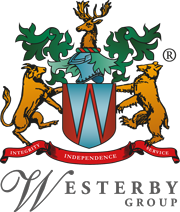 The Board of Westerby have given this due consideration and until we are certain of the implications that this may have for Westerby, we do not consider that it is prudent to accept any Defined Benefit Transfers into our SSASs or SIPPs. AMPS, our “trade body” will be discussing the letter with the FCA with a view to gaining the required clarification.